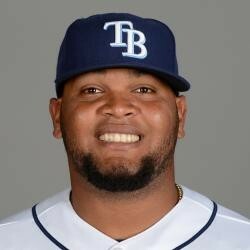 Recently acquired Juan Francisco was designated for assignment last week to clear a roster spot for Hanley Ramirez. It looked like Juan Francisco would play a utility role when the Red Sox picked him up off of waivers a couple weeks ago, but with the Sox recent signings Francisco got caught up in a numbers game. Juan Francisco had a hot two week stretch last season in which he was a top waiver add, but at this point he has no fantasy relevance whatsoever.